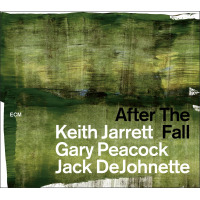 In the realm of solo improvised piano performance, few approach Keith Jarrett's recorded legacyboth for quality and quantity. 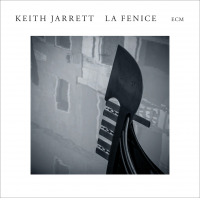 With Rio (2011), Jarrett brought the number of solo CD releases on his longtime label, ECM, to fifteen. The absence, in full, of Concerts (1982) on CDoriginally three LPs of solo performances from Bregenz and Münchenhas remained a mystery for years, the single-disc Bregenz show ultimately issued as Concerts, leaving the double-disc München MIA ever since. There was a close call, with a three-CD box containing both concerts mysteriously pulled at the eleventh hour, making this year's release of the complete Concerts: Bregenz / München even more welcome. It's already been a banner year for Jarrett fans. Along with one his finest Standards Trio sets in years, Somewhere, Jarrett's double-LP church organ improvs, Hymns/Spheres (1976), was also released in complete form, righting the wrong of 1985's drastically reduced, single-CD Spheres. Add the totally unexpected No Enda 1986 home recording featuring Jarrett layering, with the assistance of two two-track cassette recorders, a surprisingly electric set of guitars, bass, drums, percussion, recorder, voice...and, yes, a little piano. Concerts concludes the year on a high note; released the same day as No End, these two recordings are as significant for what they mean as for what they are. 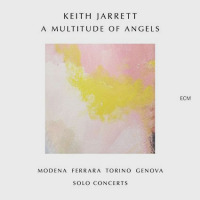 While Jarrett's post-Chronic Fatigue Syndrome, new millennium solo sets have been largely excellentTestament: Parist/London (2009) and The Carnegie Hall Concert (2006) particularly superb, despite the latter's 19 minutes of applauseConcerts harkens back to a different time, when Jarrett had the energy to deliver solo performances best described as epic70, 80, 90-minute continuous sets where Jarrett built lengthy in-the-moment performances from the ground up, remarkable for their compositional spontaneity and surprisingly rich narrative threads. 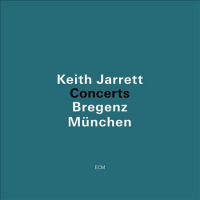 Recorded just six years after his mega-selling The Köln Concert (1975), both the May 28, 1981 Bregenz show and München date, recorded five days later, find Jarrett in peak form, still pulling largely accessible long-form sets from the ether, in contrast with later shows like 1992's Vienna and 1997's La Scala, which reflect the pianist's growing interest inand, by consequence, desire to playmusic closer to the classical sphere and less redolent of the gospel, blues, jazz and even near-pop music constructs heard here. Jarrett's virtuosity was long past something he had to prove, and the result is music that, beyond its depth, is also, at times, actually fun, Jarrett's playful nature no more evident than at the end of "Part I" from Bregenz where, amidst complex contrapuntal ideas, Jarrett pops in and out of the piano box, adding sharp percussive punctuations and zither-like timbres. He's also at his most beautiful, in particular during both shows' encores, including the gentle, Midwestern vibe of Bregenz's "Heartland" and, from München, the more decidedly jazz-flavored "Mon Couer est Rouge." 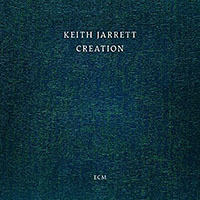 This overdue release of Concerts in its entirety finally makes all of Jarrett's solo piano releases for ECM available on CD. 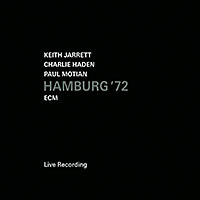 As strong a set, thirty years later, as it was when it was first released, Concerts easily rivalsperhaps, even, betters Köln Concert as some of Jarrett's most profoundly deep yet user-friendly music. Track Listing: CD1 (Bregenz): Part I; Part II; Untitled; Heartland. CD2 (München): Part I; Part II. CD3 (München): Part III; Part IV; Mon Couer est Rouge; Heartland.